Microsoft will require its vendors to provide contract workers with 12 weeks of paid parental leave. Microsoft is issuing a new requirement for the multitude of vendors that provide contract workers for the company: give the workers at least 12 weeks of paid leave after they have a child. 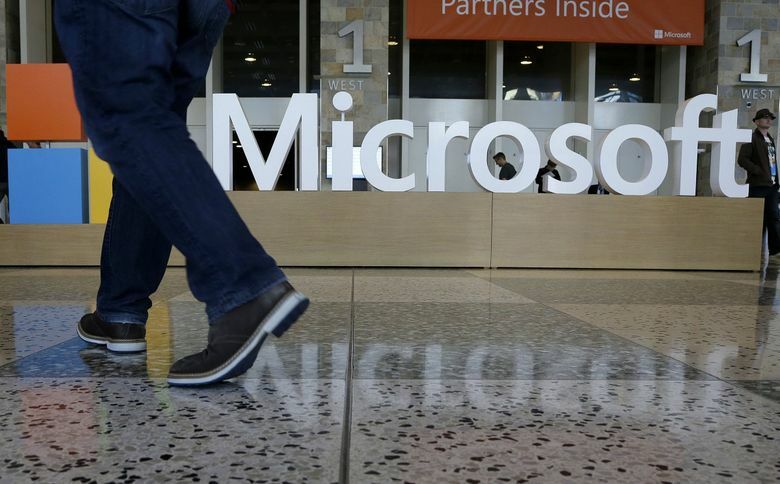 The Redmond tech company announced the new mandate Thursday, saying it would apply broadly to vendors across the U.S. Three years ago, Microsoft also issued a broad employee-benefit requirement, calling then for vendors to give workers at least 15 days of paid time off each year. The parental-leave rule nearly matches Microsoft’s own internal policy, which offers 12 weeks paid leave for all new parents, and also an additional 8 weeks for birth mothers. The 12-week requirement for vendors will be phased in over the next year and is to be available for all parents who take time off for the birth or adoption of a child. It requires they be paid at a rate of up to $1,000 a week. The company said it works with about 1,000 vendor companies in the U.S. The number of contract workers is thought to be in the tens of thousands globally. The parental-leave policies will apply to all U.S. vendors that have more than 50 employees and do “substantial business” with Microsoft. Vendor companies provide workers for a wide array of jobs at Microsoft, including food service, software development and technical writing. Microsoft’s use of contract workers has come under the spotlight several times over the years, especially in 2015, when the company implemented rules that required some workers to take six-month work breaks from the company in an effort to make clear the roles of employees versus contract workers. That same year, Microsoft began the requirement that vendor companies offer paid time off. Washington state passed a parental-leave law last year, which requires 12 weeks of paid leave for each parent after a child is born, adopted or placed with a family. The law is set to take effect in 2020, but Microsoft general counsel Dev Stahlkopf said the company didn’t want to wait. Microsoft employs more than 48,000 employees in the Puget Sound region, and more than 77,000 across the U.S.